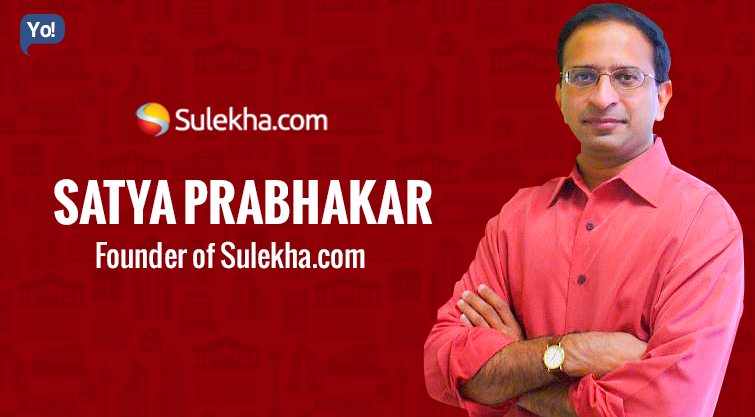 The genius Indian/American entrepreneur – Satya Prabhakar, is an Engineer, published Writer and the proud Founder of Sulekha.com. Sulekha is known to be one of the most famous and leading local digital commerce platform in India which intelligently amalgamates local searches, classifieds, ecommerce which then joins forces with member blogs, answers, reviews and ratings. Satya has single handedly taken Sulekha from a mere two-employed company to a 1000+ employed organization and now has a strong base of 15 offices across India and in US. In addition to that, Satya has also been invited to share his thoughts at various forums like Wharton, Nanyang Technological University, IIT Bombay, IIM Calcutta, ISB Hyderabad, Nokia Developer Forum and has also been featured in more than 500 media stories. He has also published more than 50 articles and opinion pieces on topics like technical, business and general interest. Some of these have been published by Harvard Business Review, The Wall Street Journal, Business Line, etc. His work also includes “Black, White and Various Shades of Brown,” published by Penguin India and lastly he is also an active Charter Member of the TiE (The Indus Entrepreneur). Personally he is married to Sangeeta Kshettry, who also happens to be the co-founder of Sulekha.com and they have two daughters Divya and Priya. To begin with; Satya was born in a small town in Andhra Pradesh called Machilipatnam. After completing his early education from the Nirmala High School and Hindu College, he went on to pursue his Engineering in Electronics and Communications from the National Institute of Technology, in 1984. Later, he began his career and started working at Philips as an Acoustical Engineer in Chennai. Not getting into the technicality of his profile, he continued this job for the next one year, after which Satya moved to TCS more specifically Tata Research, Design and Development Center as a Technical Advisor, wherein mainly his consultation was into areas of knowledge systems design. After one year of generous advisory to TCS, he decided to move on. Unlike most of the rest, he managed to bag admissions into all four Indian Institutes of Management (Calcutta, Ahmedabad, Bangalore and Lucknow), but instead he decided to go for University of Florida to pursue his Masters in Computer Science, and also to perform diversified research. Soon after he finished with his Masters, Satya joined Honeywell in Minneapolis as their Senior Principal Research Engineer and led multiple key projects with a valuation of more than $20 Million. Some of his works included: Development of key technologies in various technical areas, Formation of multiple alliances with other companies or organizations such as Georgia Tech and University of Minnesota to develop collaborative technology and programs, Managing several R&D projects for the US Air Force and Electrical Power Research Institute (EPRI), etc. But more importantly, he co-founded the Presto multimedia lab at Honeywell, which was a platform to develop real-time video and audio technologies. To cut it short, this stint of his went on for nearly 6 long years. With a heavy heart; Satya moved on in life and joined AT&T (then SBC) in Texas as a Senior Program Manager. In the next roughly 5 years, he managed to lead the JV with Walt Disney, Ameritech, PacBell, BellSouth, GTE to develop an interactive TV infrastructure & programming and other areas of Internet hosting, e-commerce and interactive TV. In around 2000, he left AT&T to get into entrepreneurship which changed his life forever! After Satya left AT&T, he began working on his new found idea. This idea in the simplest terms was yellow pages on the World Wide Web, basically local services classifieds. After a lot of calculations, brainstorming and market research Satya along with Sangeeta founded sulekha.com, but for the time being in United States. Doing decently well, he ran the company there for quite some time, but at the same time also witnessed a drastic jump in the internet users in India since the dot com crash. That is when another idea began to connect dots in his head. What if he moved Sulekha.com to India? Hence, after reasonable thinking and without leaving their present base, in 2006 the co-founders took the leap and launched Sulekha.com in India as well, but in a strategic manner. They redesigned the local services classifieds in 2005 to allow its users to select their location in different states in the US & Canada, and very smoothly also introduced a few Indian cities including Bengaluru, Chennai, Delhi, Hyderabad, Kolkata and Mumbai. This route was also chosen to test the waters in India (in all aspects). Their operations full-fledgedly began only after 2007! Now there was a broader concept involved here, and at the same time there involved numerous challenges as well too! First off; as they launched in India, Sulekha received a funding of $10 Million from Norwest Venture Partners, but coincidentally at the same time, there were 40 other local services companies from around the world who also received various funding for their ventures. There was fierce competition. But then again, some of them were able to successfully manage to add new customers & scale their business geographically, and understand the business aspect of the whole game, while most faded with time. But eventually as time changed, most of that “some” which were left in the classified business also moved away from the yellow pages concept, mainly because they couldn’t not adapt to the change and were not able to turn their charm onn, online! Anyway now, after these were gone, luckily or unluckily, a huge number of digital start-ups were also born, and this time, these also had managed to succeed in capturing the user base as well. If you look at the local classified business from a broader angle, you would notice that, every category within itself, is itself a market place, and if a balance of users and customers is not created, then the business would eventually fall. What many don’t understand or maybe could not deliver was that, there primarily were three fundamental drivers for both users and local businesses. Keep the time of getting the task done, at a minimum. Keep the cost of getting the task completed, at a minimum. And finally, keep the hassle (for both aspects: users & customers) at its lowest. To elaborate on that; hassle for users could be calling a business and the business not calling you back, or picking the wrong and low quality business. Whereas, for local businesses or customers (as they put it), the hassle could be, the amount of time taken to get a potential customer & close the sale, or to find out the total amount spent on customer acquisition. If these drivers were not met, sooner or later a business in this arena had to fall. For these and various other reasons, these businesses could not capture the local businesses in general, which eventually, became one of the reasons; many of these start-ups found it extremely difficult & later failed to exist. On the other hand, Sulekha very intelligently managed to maintain & grow a fine balance of both–local businesses and users. They were able to constantly increase the quantity of their responses, and at the same time also improved their quality, and as a whole also tried their best to improve their quickness to get the user’s need fulfilled. Due to such brilliant strategies paved by Satya, the company was not only able to withstand a blow, but was also able to plan their future investments wisely and also was able to create a strong & unbreakable base in the online ecosystem. Now when you talk about SME’s; the chances of them dying are very, very high almost everywhere. But Sulekha used to give them that chance of survival that they desperately looked for. Basically, Sulekha helped them connect them with their local audience, or local audience to those local businesses, and reduced their chances of failing. Coming to the business end of Sulekha, clearly it was of utmost importance that it captured & balanced both-customers & users equally. Hence, in their initial stages, Sulekha did not charge the local businesses on the portal, and instead relied more on advertising to generate revenues. It was only in 2009, that they started began with various packages for its customers and began charging them. That is when they began to grow in actuality! In 2012, Satya realised that, Sulekha.com which had been initiated for an expression of ideas and opinions, was no more restricted to sharing just ideas but could also be & was being used also to trade products and services. While at it, he also noticed a whole new different set of customer – SMB (Small to Medium Businesses), which shockingly yet obviously was infinitely large, but till that point had been greatly been neglected by almost the whole business or rather the online community. But the fact still remained that, this set of audience possessed a huge potential for growth. And that was it! Sulekha shifted their focus completely from corporate brand advertising to SMB response advertising. Over a period of three years, the company invested heavily to penetrate & spread deeply into the SMB communities and, today they have successfully managed to achieve the same. Today, Sulekha gets 20 Million+ unique visits every month, gets more than 100 Million page views, and also provides service to 32,000+ SMB customers. Along with that, the company also swiftly expanded their sales network by opening branches in the 10 main cities, with an online-savvy sales force. This has also resulted into a growth of nearly 50% revenues in the last eight years. 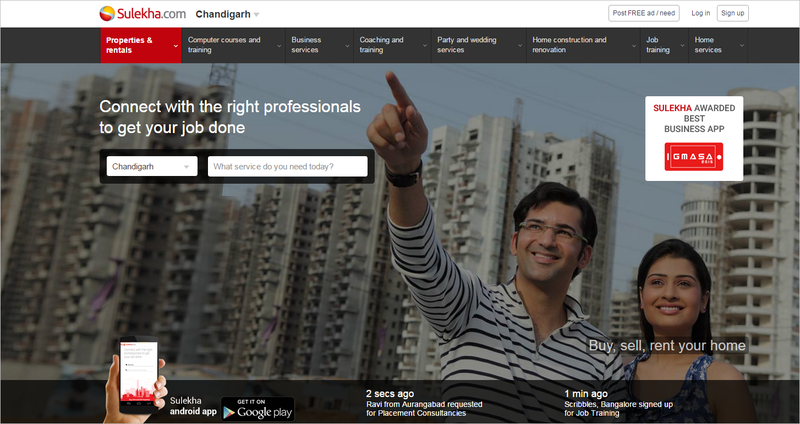 With over 800+ categories like coaching, home and office service, entertainment, etc, Sulekha is on the lines of becoming a cusp of Facebook & Craigslist of India. With a strong 1,300+ employee base; It has not only transformed itself into one of India’s largest and fastest-growing digital business and consumer brands, but also has an active presence in more than 40 Indian cities. Today Sulekha accounts for 30+ Million visits per month, which account for 5+ million connections and transactions every month, they have a 75,000+ paying SMB customer base, 4 Million+ business listings and 2 Million+ active businesses on their portal. And lastly, talking about their funding; recently in the early 2015 Sulekha has received 175crores worth funding from Singapore’s sovereign wealth fund GIC and venture capital Norwest Venture Partners (NVP). Prior to that, they had also raised $8 Million from Indigo Monsoon, Mitsui and NVP.